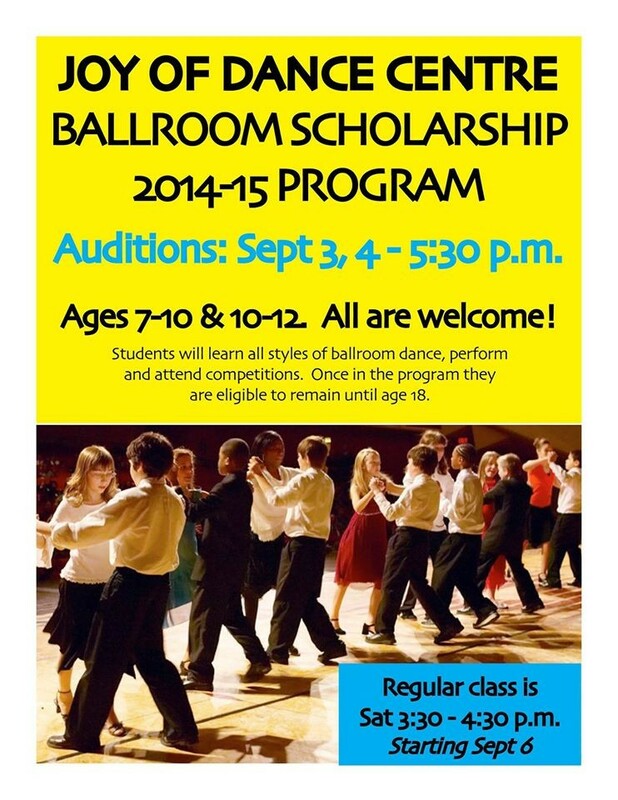 September 13: Come Audition for our Kids Ballroom Scholarship Program! Joy of Dance Ballroom Scholarship Program is holding auditions for children ages 10 to 12 on Saturday, September 13, 2014 from 4:30 – 5:30 p.m. We have been running this program for six years and it is magical and rewarding. Ballroom dance helps kids to be strong, confident, expressive and respectful. Students accepted into the program are eligible to remain until age 18. Classes will be held on Saturdays from 4:30 – 5:30 p.m. starting September 13. Click HERE to see what this program has meant to our kids.